The problem with testing React components is quite fundamental. It’s about the difference between unit testing and integration testing. It’s about the difference between what we call unit testing and what we call integration testing, the size and the scope. It's not about testing itself, but about Component Architecture. About the difference between testing components, standalone libraries, and final applictions. You may dive deeper into the problem by reading the medium article, but here let's skip all the sugar. There is 2 different ways to test React Component - shallow and everything else, including mount, react-testing-library, webdriver and so on. Only shallow is special - the rest behave in the same manner. And this difference is about the size, and the scope - about WHAT would be tested, and just partially how. In short - shallow will only record calls to React.createElement, but not running any side effects, including rendering DOM elements - it's a side(algebraic) effect of React.createElement. Any other command will run the code you provided with each and every side effect also being executed. As it would be in real, and that's the goal. And the problem is following: you can NOT run each and every side effect. Function purity? Purity and Immutability - the holy cows of today. And you are slaughtering one of them. The axioms of unit testing - no side effects, isolation, mocking, everything under control. But that's is not a problem for ... dumb components. They are dumb, contains only the presentation layer, but not "side effects". But that's a problem for Containers. As long they are not dumb, contains whatever they want, and fully about side effects. They are the problem! Probably, if we define the rules of "The Right Component" we could easily test - it will guide us, and help us. Are concerned with how things look. May contain both presentational and container components** inside, and usually have some DOM markup and styles of their own. Often allow containment via this.props.children. Have no dependencies on the rest of the app, such as Flux actions or stores. Don’t specify how the data is loaded or mutated. Receive data and callbacks exclusively via props. Rarely have their own state (when they do, it’s UI state rather than data). Are written as functional components unless they need state, lifecycle hooks, or performance optimizations. Examples: Page, Sidebar, Story, UserInfo, List. And Containers are just data/props providers for these components. Containers are the Tree. Components are Tree Leafs. In an earlier version of this article I claimed that presentational components should only contain other presentational components. I no longer think this is the case. Whether a component is a presentational component or a container is its implementation detail. You should be able to replace a presentational component with a container without modifying any of the call sites. Therefore, both presentational and container components can contain other presentational or container components just fine. Ok, but what about the rule, which makes presentation components unit testable – “Have no dependencies on the rest of the app”? Unfortunately, by including containers into the presentation components you are making second ones infinite, and injecting dependency to the rest of the app. And the only question, you should as: How? you are able to test dumb component without "the rest of your app"
you are able to test integration with smoke/integration/e2e test, not tests. // Test me with mount, with "slots emty". @dceddia I think this is one of the biggest misunderstandings about React. It would be great to highlight this pattern more. 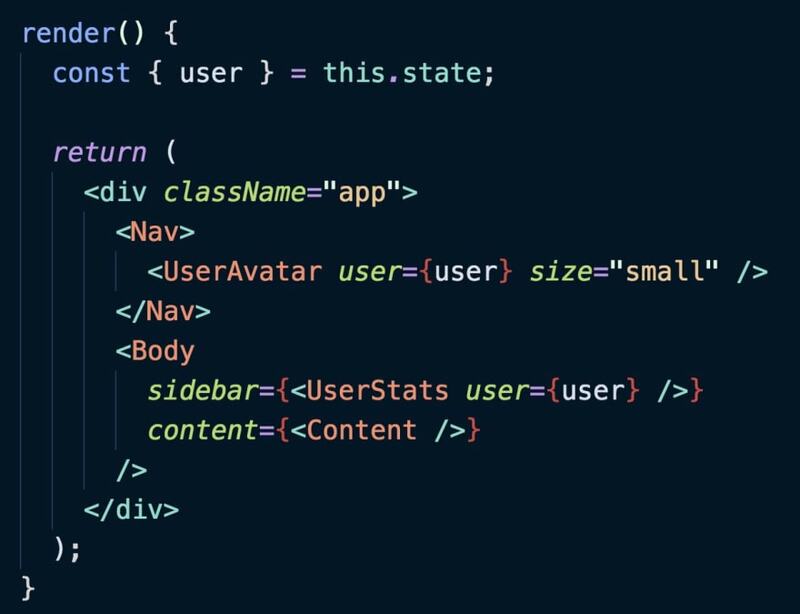 Note how by making <Nav> and <Body> accept any elements as children, I removed the need to pass the "user" prop down through them. DI(both Dependecy Injection and Dependency Inversion), probably, is a most reusable technique here, able to make your life much, much easier. Point here - Dumb components are dumb! Then - you are able to disable, just zero, Boundary to reduce Component scope, and make it finite. 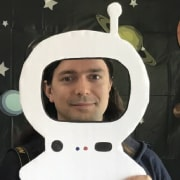 Point here - Boundary is on Dumb component level. Dumb component is controlling how Dumb it is. Even if this is almost similar to Boundary example - Dumb component is Dumb, and Containers controlling visibility of other Containers. Another solution is just to Separate Concerns! I mean - you already did it, and probably it's time to utilize it. Point here: there is no logic inside nor Presentation, not Container - all logic is outside. So I've just posted a few ways to reduce the scope of any component, and make them much more testable. The simple way to get one gear out of the gearbox. A simple pattern to make your life easier. E2E tests are great, but it's hard to simulate some conditions, which could occur inside a deeply nested feature and be ready for them. You have to have unit tests to be able to simulate different scenarios. You have to have integration tests to ensure that everything is wired properly. For example, if a button can be in one of 5 different states (normal, active, hover, danger, disabled), the code updating the button must be correct for 5×4=20 possible transitions — or forbid some of them. How do we tame the combinatorial explosion of possible states and make visual output predictable? While the right solution here is state machines, being able to cherry-pick a single atom or molecule and play with it - is the base requirement. Presentational components should only contain other presentational components. You don't have to always NOT contain Containers inside Presentational ones, but not contain them only in tests. PS: I would recommend reading (auto-translated) habr version of this post. Thanks, Anton for the thorough post. Would you be able to update the code formatting in Solution 4 - Separate Concerns?